Silicosis is a debilitating lung disease caused by exposure to small particles of silica, a natural mineral found in sand, rock, and mineral ores like quartz. Workers in many industries, such as mining, construction, masonry, stone countertop manufacturing and installation, steel industry work, and glass manufacturers, risk exposure to silica. When they breathe in the tiny particles of this toxic substance, the particles can become trapped in their lungs. The result can be the development of silicosis, an incurable and sometimes fatal lung disease. Sadly, it is very preventable. Acute silicosis. This results from a large amount of exposure to silica over a short period of time. It can cause a cough, weight loss, and fatigue within a few weeks after exposure, but generally takes five to ten years to develop. In addition, the lungs can become inflamed and fill with liquid, causing the person to experience shortness of breath and low oxygen levels. Chronic silicosis. This is usually caused by relatively constant levels of exposure over seven to ten years and can take between 10 and 30 years after exposure to develop. The person’s lungs can be extensively scarred or swollen, and this can cause the person to experience significant difficulties breathing. Accelerated silicosis. Symptoms emerge within 10 years of exposure and are similar to those of chronic silicosis, except they occur faster. Unfortunately, silicosis is a progressive disease with no cure. 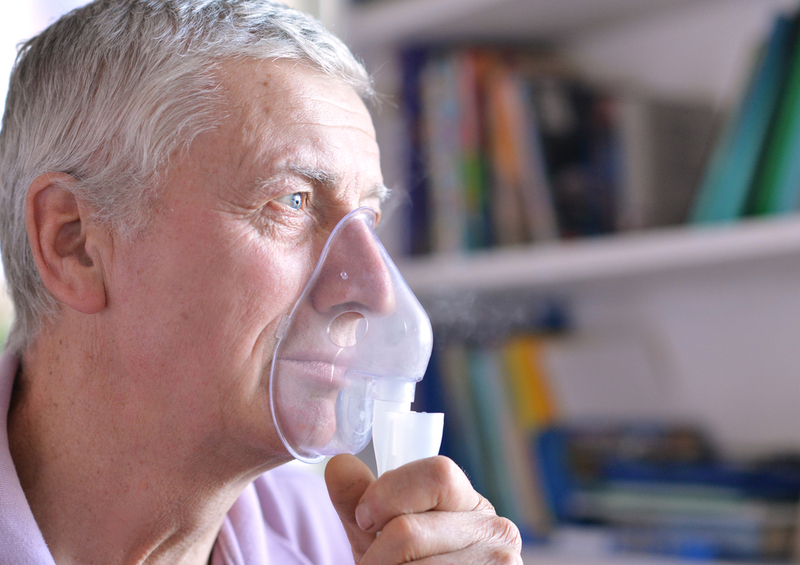 Some people with severe symptoms could need oxygen—sometimes on a long-term basis—or to be placed on a ventilator. Often, people must take inhaled steroids, bronchodilators, and/or oral steroids to decrease sputum production and relax the airways. For some patients, a heart and lung transplant could be the only hope. Monitoring the disease on a long-term basis is critical to relieve symptoms, prevent complications, and avoid infections that often occur for patients with serious chronic lung diseases. This includes monitoring the person for active tuberculosis as many patients have latent TB infections. Workers who develop this disease need fairly constant medical care because it could quickly develop into respiratory failure and death—especially with acute silicosis. If you are diagnosed with silicosis and it was caused by silica exposure at work, you could be entitled to workers’ compensation benefits to pay for your medical treatments and wages while you are off work being treated for your disease or the infections and other lung complications you could suffer. As the disease progresses, you may find yourself unable to perform your physically demanding job. If this happens, you could be entitled to workers’ compensation and social security disability payments. An experienced workers’ compensation attorney can help structure your settlement so that you—and not the Social Security Administration—receive your workers’ comp benefits. If you developed silicosis or suffered another workplace injury, start an online chat or call me at 877-360-0183 to schedule a free, no-obligation consultation.